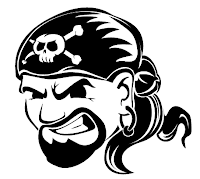 Today be TALK LIKE A PIRATE DAY!!!!! "What kind o' movies do pirates like?" T' answer is: "Arrrrrrr- rated movies."